JT Eberhard gives a response to a series of popular arguments for the existence of God and the atheist/Christian relationship.  This special lecture event is hosted by CFI Grand Valley at the Allendale campus. Time will be allowed for Q&A and reception. JT Eberhard is a campus organizer and high school specialist with the Secular Student Alliance (SSA), author of the blog ‘What Would JT Do?’, as well as a contributing author to AtheismResource.com. Before joining the SSA, JT was most known as a debater on atheism and LGBT rights and as the co-founder of the Skepticon annual conference. From 2008-2010, JT worked as the organizing team leader for Skepticon 1, 2, and 3. The event would usher in a new format of conventions featuring rock star lineups while allowing people to attend for free. JT also co-founded and led the SSA-affiliated Church of the Flying Spaghetti Monster at Missouri State. The group would go on to make news on several occasions, often for their unconventional approach to combating religion such as building a cardboard box fort in the middle of campus to counter-protest evangelists or massing on their school’s free speech zone with expletive-bearing signs in response to the school saying bands could not use coarse language. Outside of his work as an activist, Eberhard is a veteran of the Springfield Regional Opera’s Young Artist Program. A baritone, JT has a handful of professional roles to his credit with various companies including work under the directorship of two-time Grammy-winner James Billings.